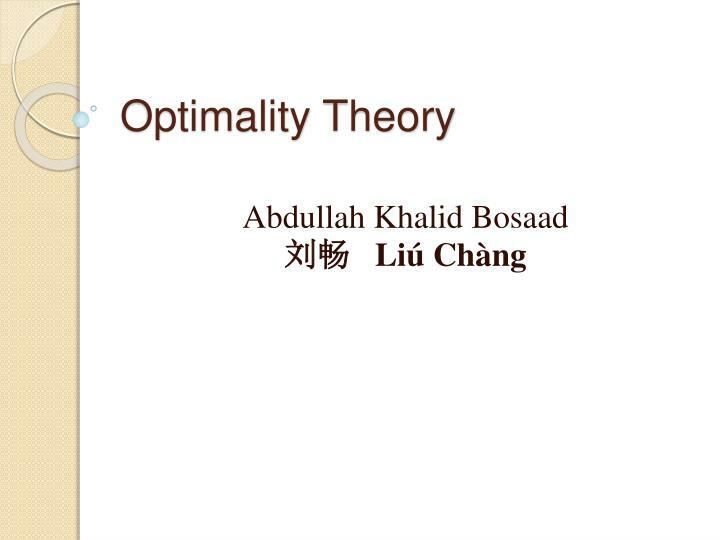 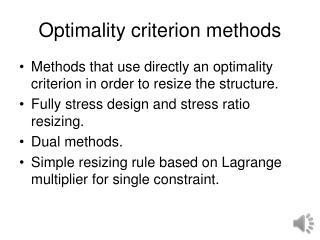 Optimality Theory. 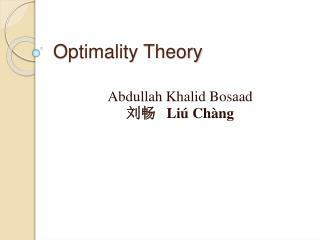 Abdullah Khalid Bosaad 刘 畅 Liú Chàng. 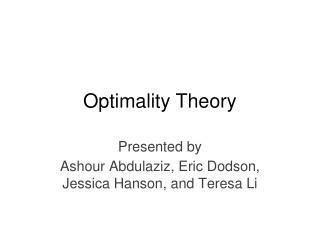 Optimality Theory. 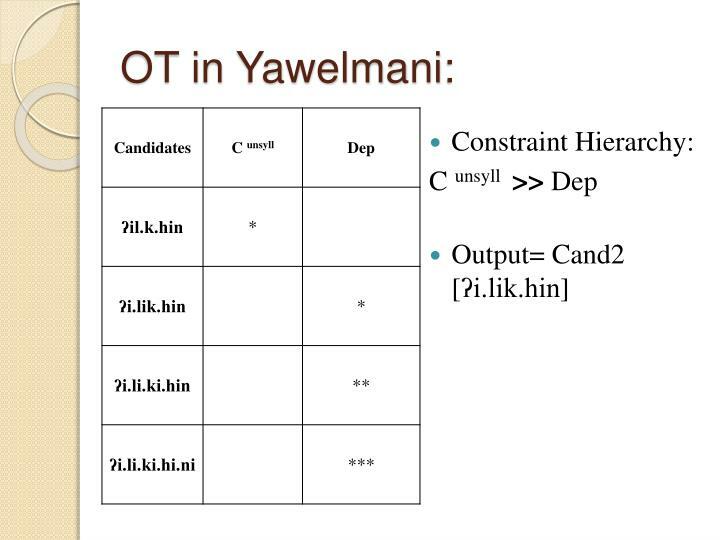 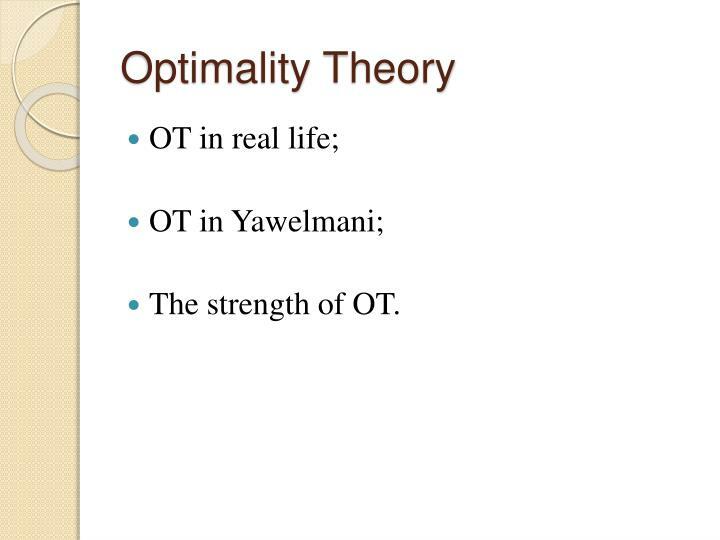 OT in real life; OT in Yawelmani ; The strength of OT. 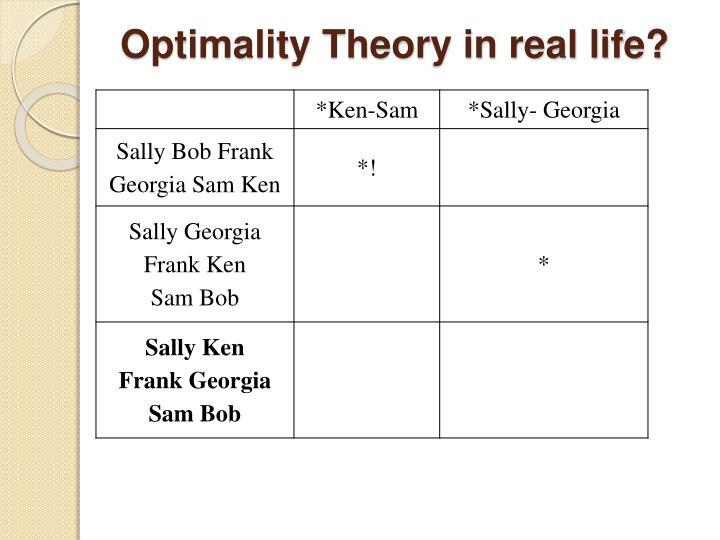 Optimality Theory in real life. 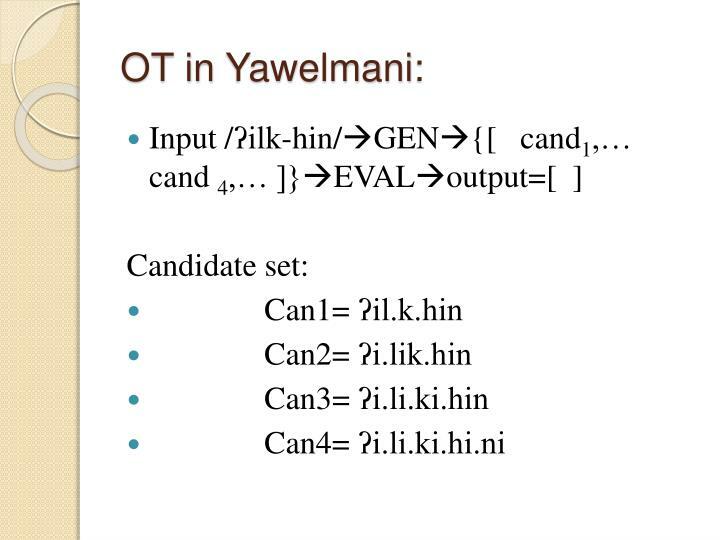 How do I group these people ?. 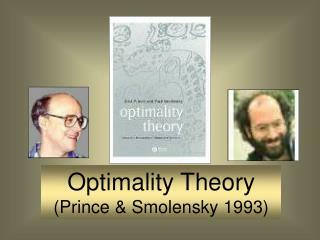 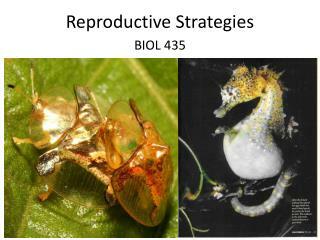 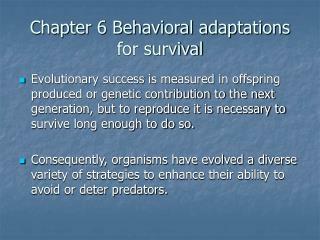 Optimality Theory in real life?. 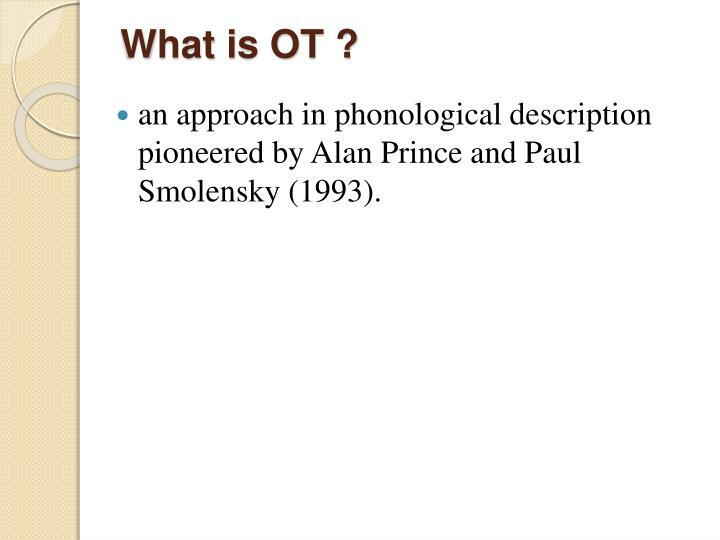 What is OT ?. 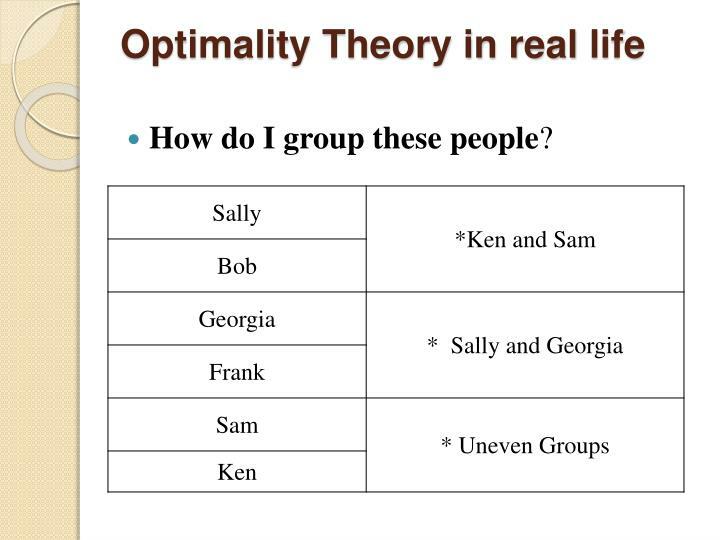 How do I group these people? 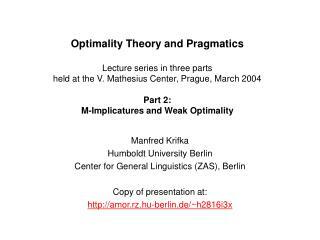 Optimality Theory in real life? 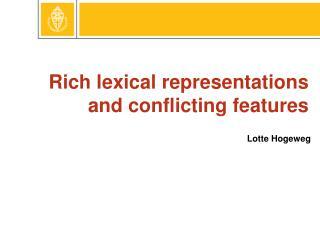 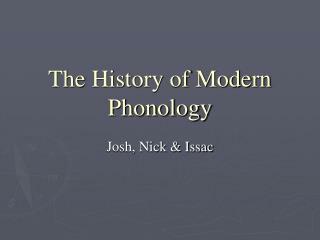 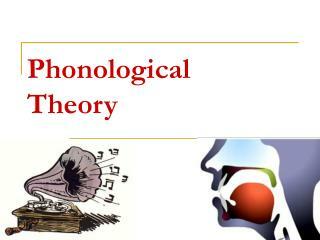 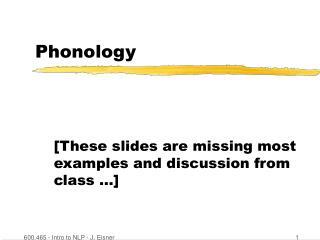 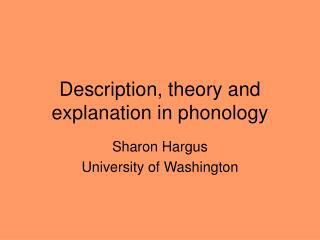 an approach in phonological description pioneered by Alan Prince and Paul Smolensky (1993). 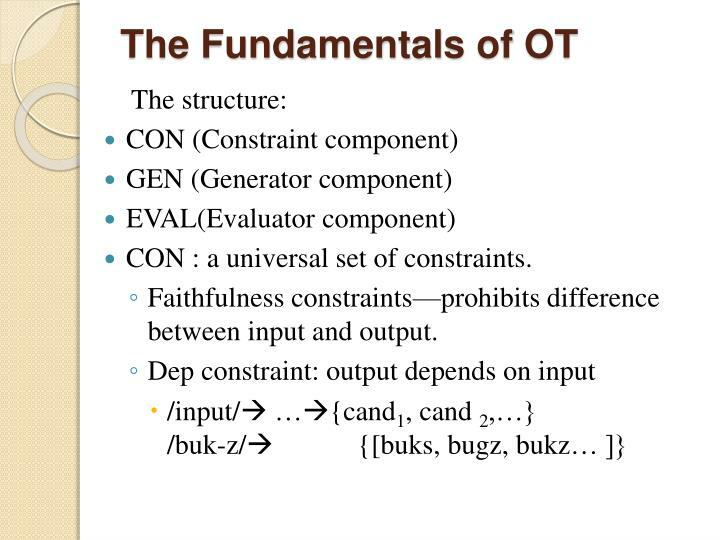 CON : a universal set of constraints. 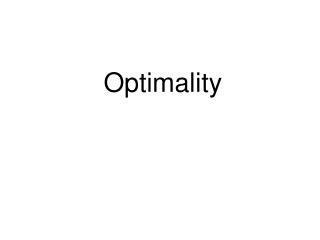 Faithfulness constraints—prohibits difference between input and output. 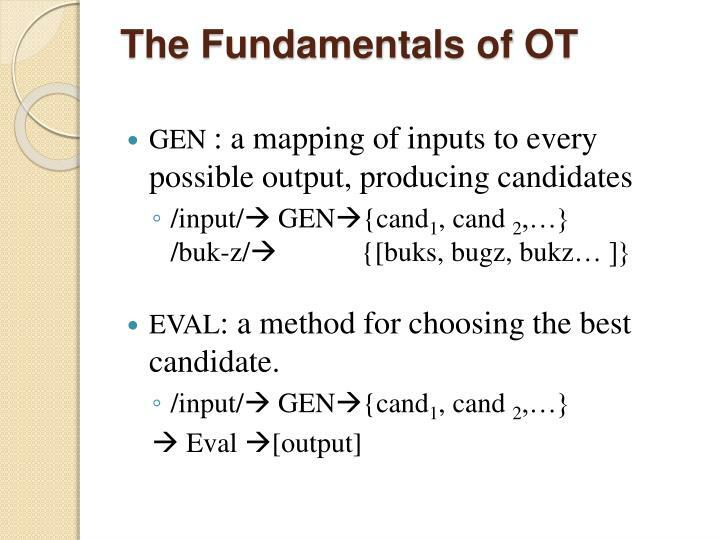 EVAL: a method for choosing the best candidate. 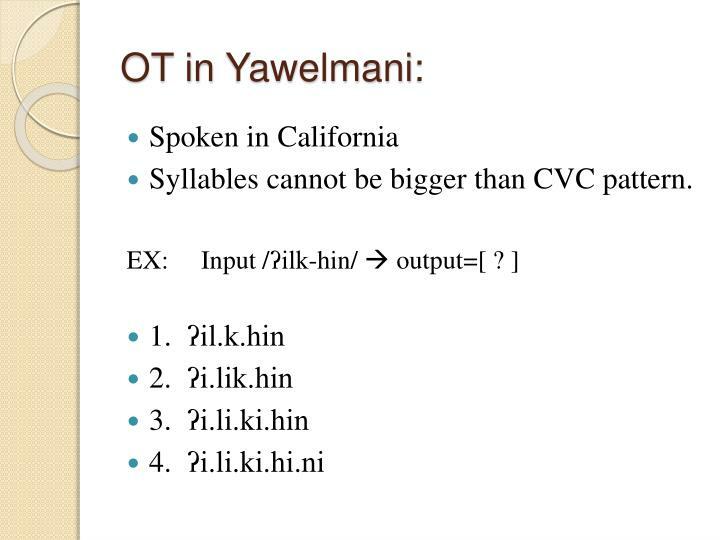 Syllables cannot be bigger than CVC pattern. 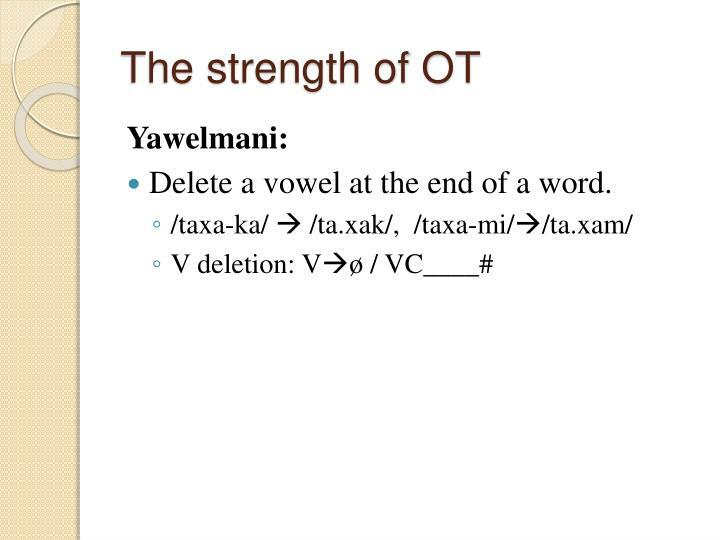 Delete a vowel at the end of a word. 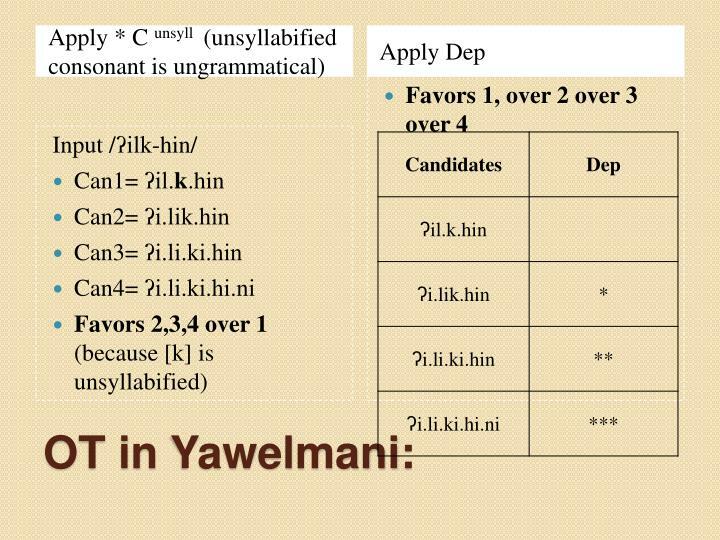 *C unsyll—prohibits unsyllabified consonants. 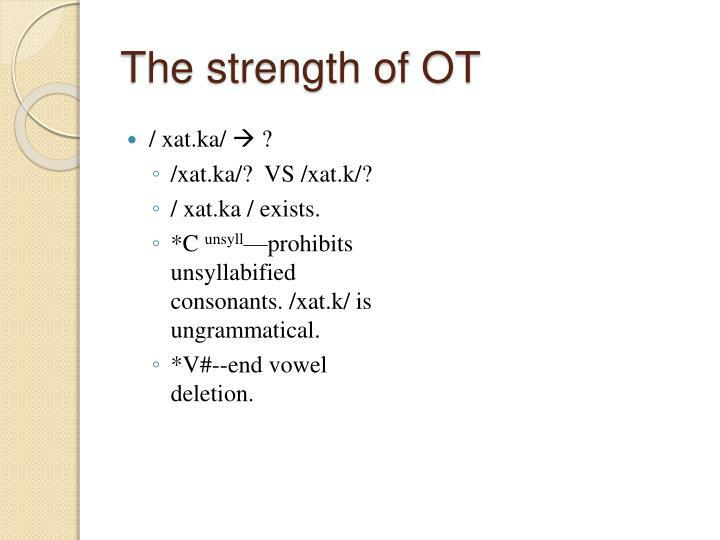 /xat.k/ is ungrammatical. 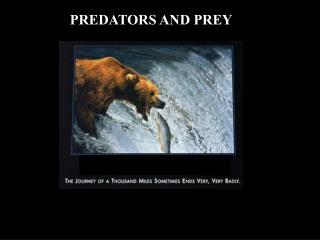 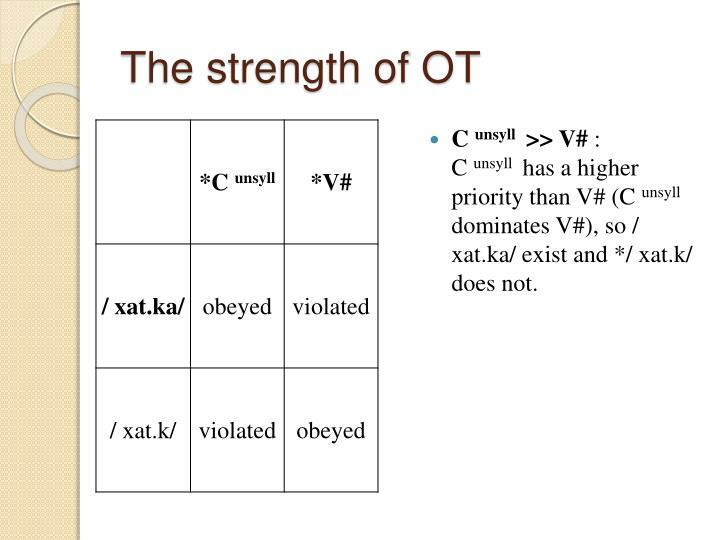 C unsyll >> V# :C unsyll has a higher priority than V# (C unsyll dominates V#), so / xat.ka/ exist and */ xat.k/ does not. 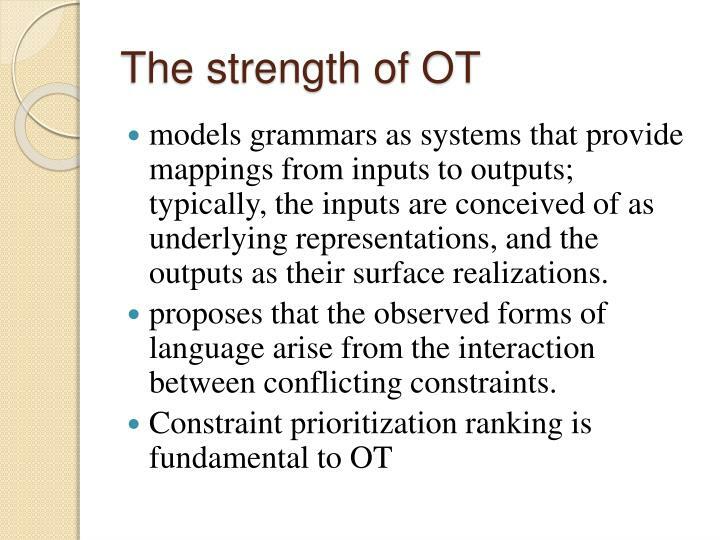 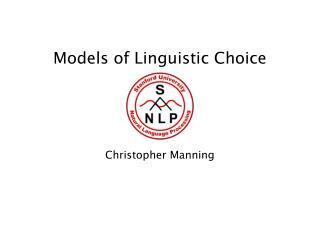 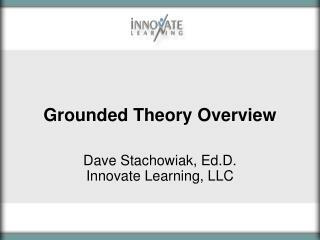 models grammars as systems that provide mappings from inputs to outputs; typically, the inputs are conceived of as underlying representations, and the outputs as their surface realizations. 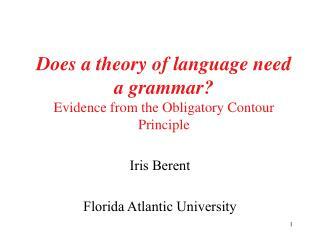 proposes that the observed forms of language arise from the interaction between conflicting constraints.